Wedniksha, the wedding division of Wizcraft conceptualized and designed a power packed Sangeet in Hyderabad last week for an eminent personality’s daughter. 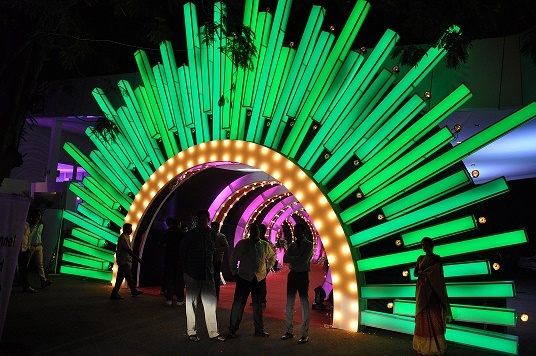 The LED inspired décor right from the entry of N. Convention centre, the venue of the event, truly proved to be a visual delight.It also played the role of a game changer, breaking the monotony of traditional sangeet celebrations. While certain important elements such as floral arrangements remained intact, they were fused with spectacular modern elements. RGB tubes that were customized to change colours and hues as the night progressed; from lighter to darker tones were an extremely integral element in the techno set up. 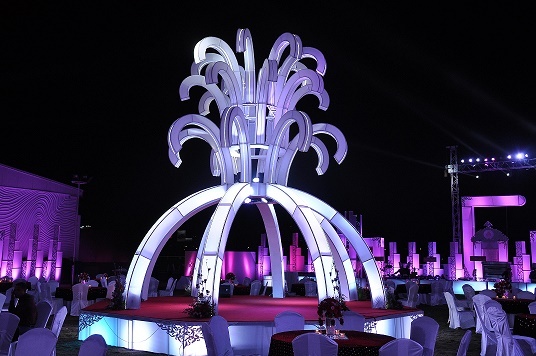 In-lit material and LED screens also held a special place in the overall décor. A dome-like structure was also created wherein a trio of violinists performed while the guests enjoyed a scrumptious buffet. 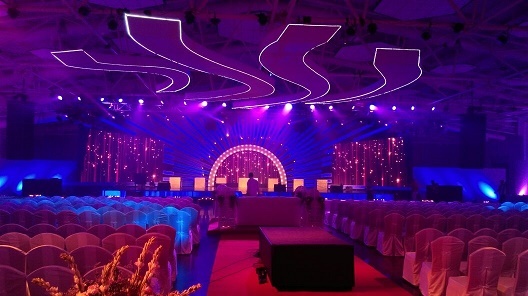 The stage was designed with utmost care for the main attraction of a sangeet- the dance performances. Being specialists in the provision of entertainment for social gatherings, Wedniksha made this another night worth remembering. 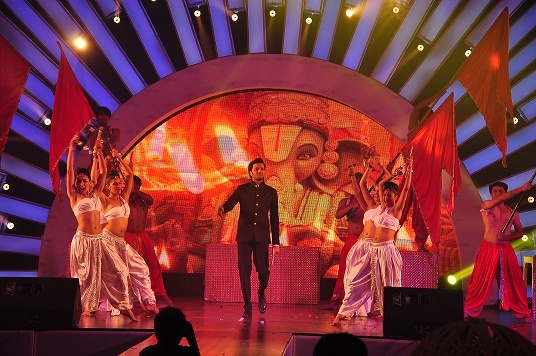 The performances of the family members of the couple were especially choreographed by dance maestro, Mr. Shiamak Davar. The night was endowed by a series of power packed performances by actresses, Jacqueline Fernandes and Priyanka Chopra, who set the stage on fire with their dance moves. The event was hosted by the ever-so-witty; Ritesh Deshmukh who made the night extremely entertaining. The guests at the event included Ranbir Kapoor, Mohan Babu and Nagarjuna along with his son Akhil Akkineni, Sania Mirza and Pinky Reddy among other celebrities who came especially to shower their blessings to the couple. Bollywood heartthrob, Ranbir Kapoor, was even seen interacting with guests. Other attractions of the night included performances by aerialists and a troop of Chenda drummers. 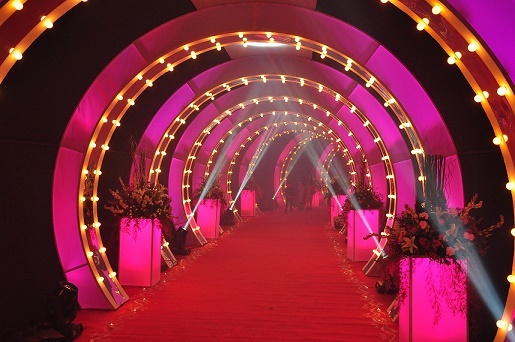 It indeed was a night full of glitz and glamour, illuminated to perfection by Wedniksha. This Hyderabad Sangeet was endowed by a series of performances by actresses, Jacqueline Fernandes and Priyanka Chopra, who set the stage on fire with their dance moves.